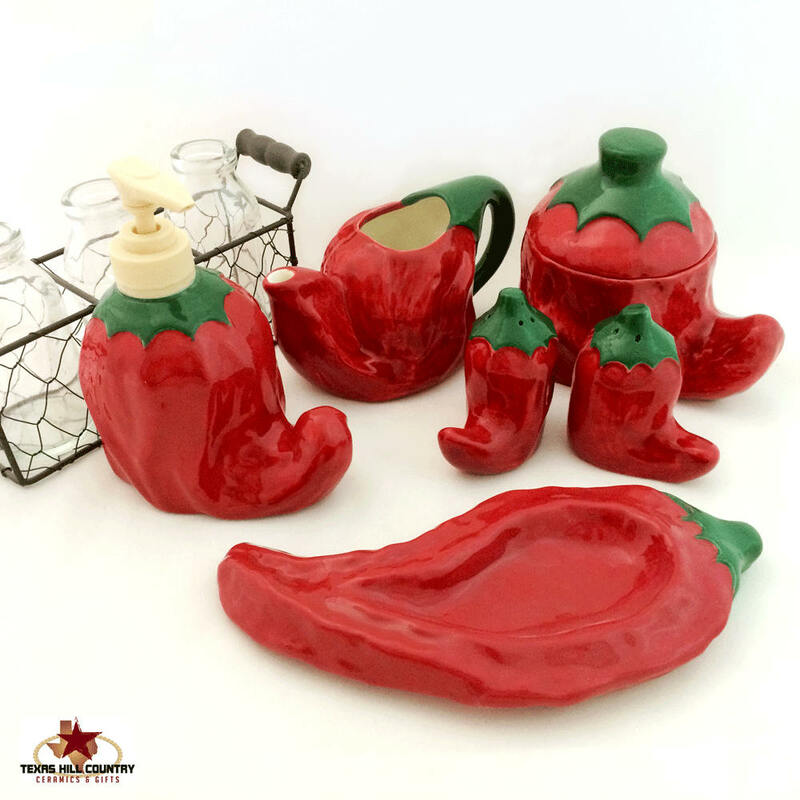 This bright red chili pepper cream pitcher and sugar bowl set is a "must have" for any southwest New Mexico style kitchen or dining area. 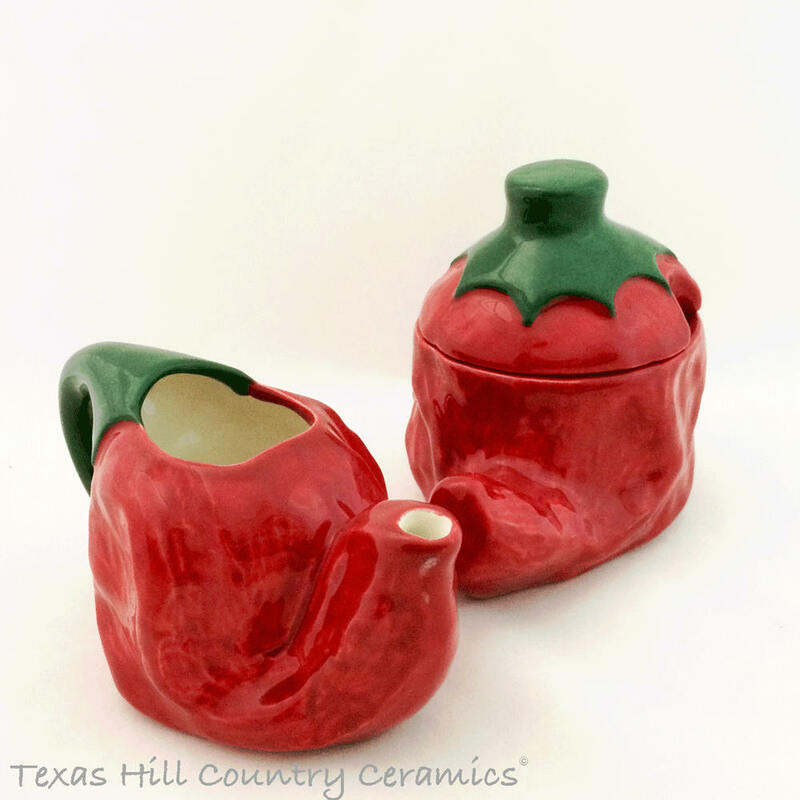 The set can also be used for serving salsa or a favorite hot sauce, it is ideal for party settings too. 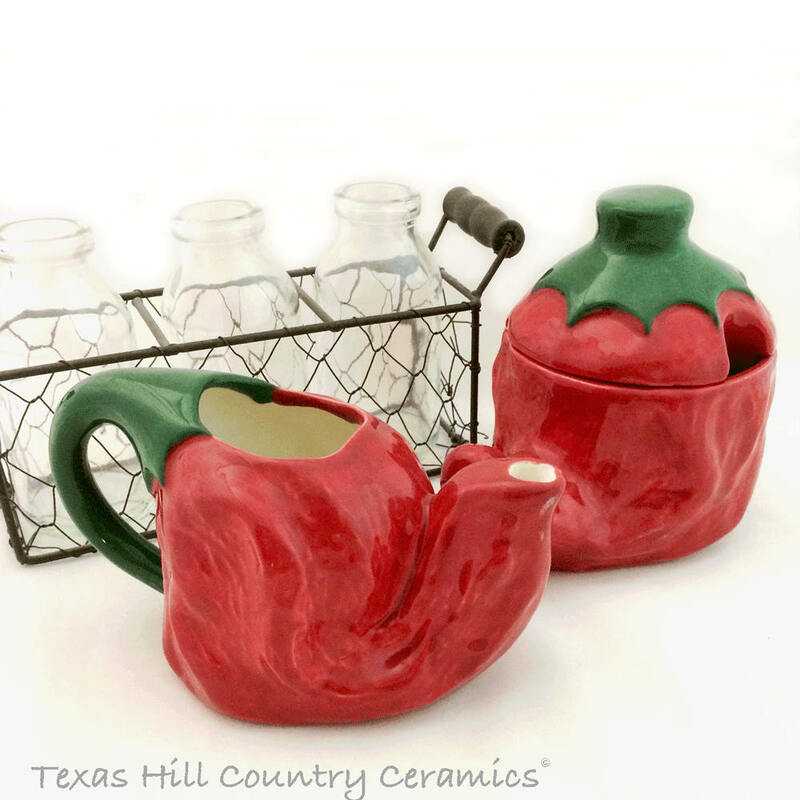 Each piece is made in the USA using domestic ceramic clay and lead free glaze. This set is Made to Order. 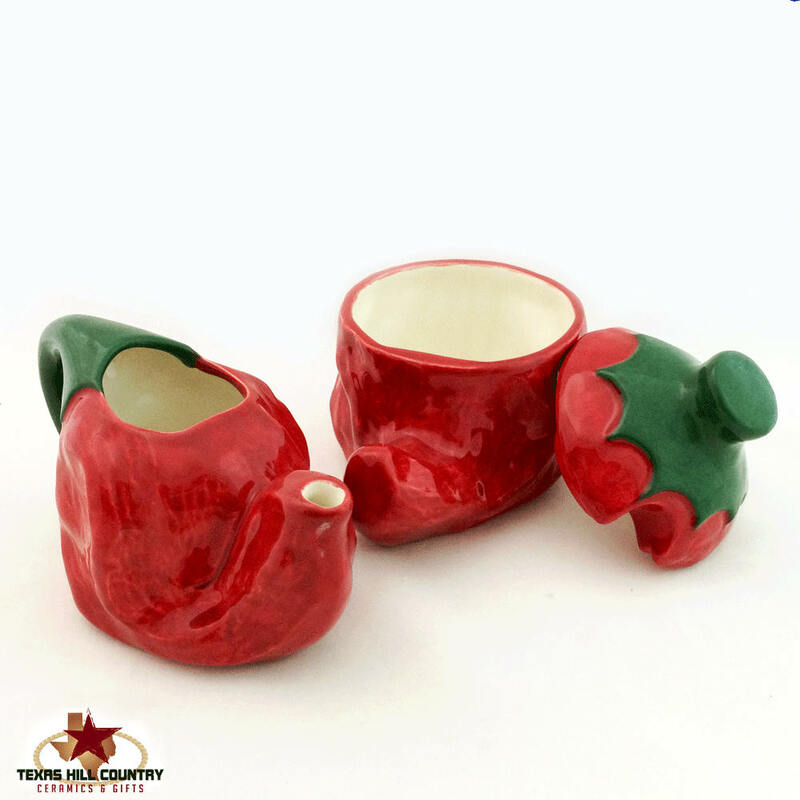 All pieces are dishwasher safe and food safe. Made in Texas, USA. Coordinating items are available that match this set, as shown in the last photo. Coordinating items sold separately.